The motorcycle features a completely bespoke frame. 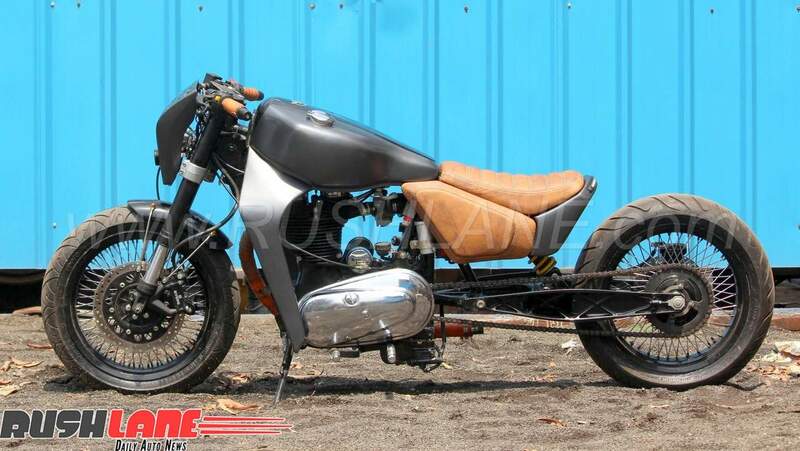 The Khalis Draggie is a perfect example of what you could do with your aging 1985 Royal Enfield Bullet. This custom build was conceptualized as a display piece at a client’s aftermarket auto part store, so aesthetics was of paramount importance. 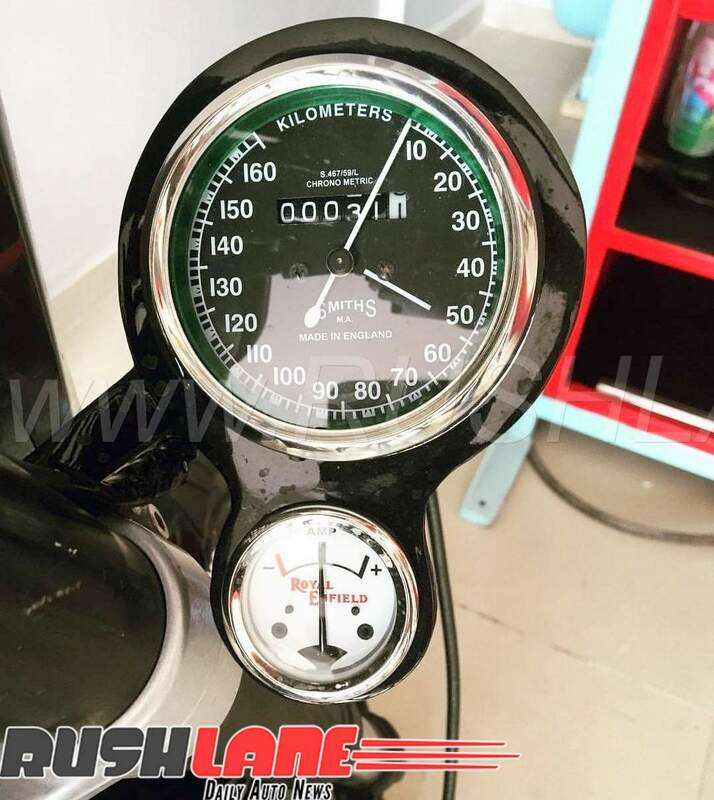 Varunjeet Bhinder, owner and creative visualizer at Khalis Automobile Customs, explains that the most tedious part of this modification job was deciding the stance of the motorcycle which had to be low-slung and long. Naturally, he settled for a soft-tail setup which worked very well. 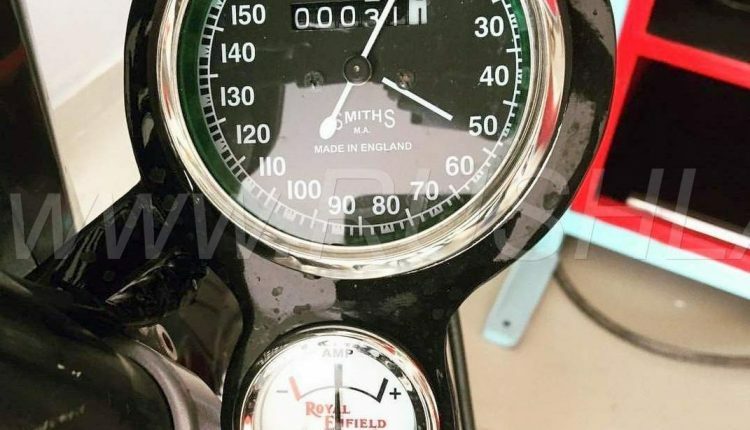 The fuel tank has been kept simple with an eccentrically placed fuel filler cap. The saddle and matching side panels are made of brown leather. The seat frame is suspended by means of a monoshock which is mounted on the long swing arm. Front suspension is a sturdy upside-down unit. 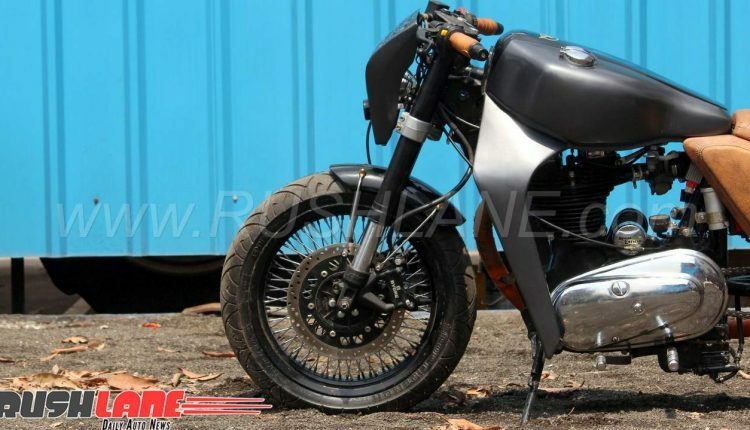 Twin projector headlamps with ‘alien shaped’ fairing, a small circular tail-lamp, a simple front mud-guard, a pair of silver pillars below the fuel tank, clip-on handlebar and 36-spoke wheels are the noteworthy features. The engine and gearbox appear to be carried forward without any upgrades, after all it’s supposed to be a stationary attraction. Khalis Customs has fabricated a whole new frame for the motorcycle. The low stance is achieved, thanks to the RC 200’s inverted front fork. The monoshock rear unit is also borrowed from the fully faired KTM. The Khalis Draggie employs a disc at each wheel for braking. The 17-inch 80-spoke wheels are shod with 120 and 160 section Dunlop tyres at the front and rear respectively. The custom made exhaust pipe has been wrapped in orange to have a sporty look. 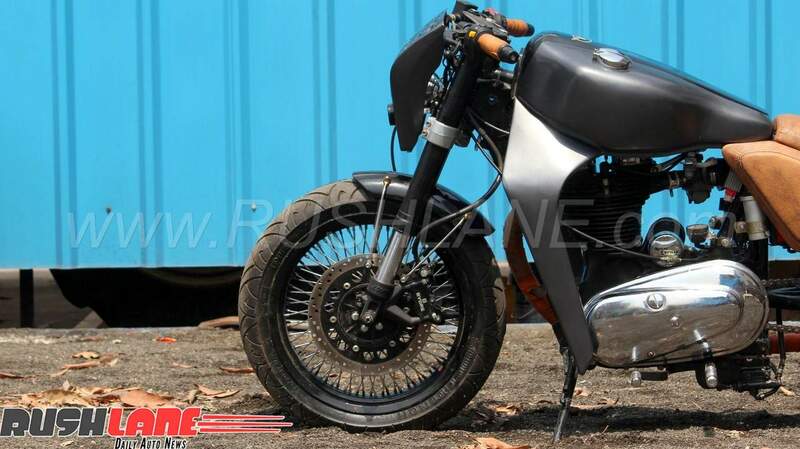 The custom builder has executed quite a few interesting builds including the interesting Twelve-12 based on the 2003 HeroHonda CBZ. The Vadodara-based firm specializes in turning old dying motorcycles into head turners.